If you’re curious about coding or have already begun to learn programming, you may be interested to find out more about coding languages. Coding language is different to human languages in that they do not involve alphabets or vocabularies. In fact code involves different methods of arranging text in order to create special commands. There are thousands of languages used in coding but some are more commonly used than others. SQL is an abbreviation for the term Structured Query Language and is used to interact with databases. Introduced in 1974, SQL is normally written in the form of queries that can either read, write, update, or delete a database’s information. The SQL coding language is an important part of popular software such as WordPress. On such platforms the language is used to create, store, read, update, and remove content such as blog posts images, and much more. Python is a coding language that was designed to make code readability easier and run on different platforms. As a result, many coders now choose to start by learning Python because of its clear and expressive coding language. Although Python is one of the most versatile coding languages its main use is in creating mathematical and scientific software. 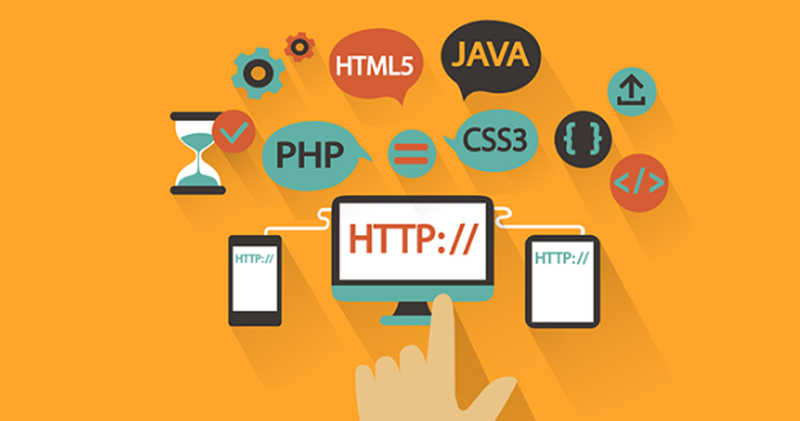 Although it is one of the least used coding languages on the web, big companies such as Google do use it. C has been in use since 1972 and is arguably the most commonly used modern coding language. Nearly every operating system has C inbuilt in it due to the languages all-round versatility. Probably C is a little more difficult to learn in comparison to other coding languages but it is also one of the most powerful. Likewise, C++ is an enhanced version of C that is also a compiled coding language designed to run on a range of platforms. C++ can therefore be found accompanying C in many computer games and in software such as Microsoft Windows. Another coding language that has its roots in C is C Sharp, a language designed by Microsoft in the year 2000. The Windows Platform-only compiled high level coding language is used for most of its .NET framework. Java was introduced in 1995 by Oracle and was designed to be a cross-platform coding language. As a high level compiled program, Java is therefore capable of running on the majority of existing operating systems. In the coding world there are few languages more ubiquitous as Java. 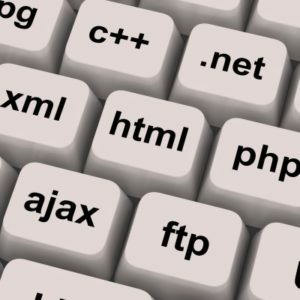 The coding language is a a staple of computer science courses, desktops, the web, and more recently in Android Apps. Ruby is a popular coding language that is well liked by coders due to its focus on their needs rather than for computers. Still, Ruby is a high-level interpreted coding language whose popularity stems from its association to the Ruby on Rails framework. Ruby was created in 1995 by Yukihiro Matsumoto. As for Ruby on Rails, the framework was created to run on web servers and provide its output in HTML. The framework powers popular sites such as Twitter and is increasingly used as an alternative to PHP. Objective-C is a programming language introduced by Apple in 1983 and is unsurprisingly the tech giants’s coding language of choice. Apple’s Objective-C is derived from the C language and is used together with the company’s Cocoa framework. Consequently, the language only runs on Apple operating systems such as iOS. Perl is a powerful coding language designed as a practical solution for text processing. The language was created by Larry Wall in 1987. While the language is seen by many as unwieldy, it is still an important part of the internet as we know it today. Visual Basic is a coding language developed for the Microsoft platform in 1991. The code is responsible for creating responses to user actions such as mouse clicks and the pressing of keys. Although Visual Basic is seen as a simple way to create graphical and user interfaces, the high-level compiled language is not prominently used. In conclusion, we can see from the above list of common coding languages that there are so many to learn! Thankfully, most coders only ever specialise in one or perhaps a handful of languages. 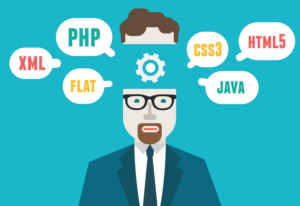 The coding languages you choose to learn will largely be dependent on the platform you’re coding for as well as which one suits your coding style the best. Share this site with other STEM Geeks!